Is your dog trying to get out? Now you'll know everything with a touch of an app! How charged up is your battery in your dogs collar? Does your dog get up to no good while you’re at work? The Smart Fence is…well, really smart! 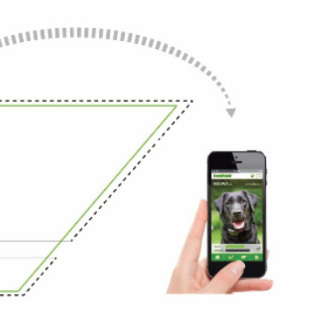 The Smart Fence® App System is the only system that uses communication with the components and an App, to relay information on your dogs containment status and the security of your Hidden Fence. 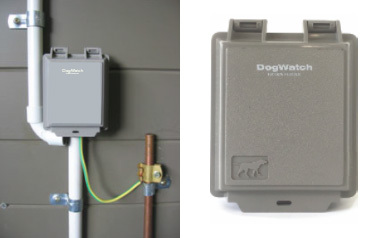 The DogWatch ® Smart Fence system is the flagship dog fence product. With comprehensive modern engineering and secure features… no other system compares. 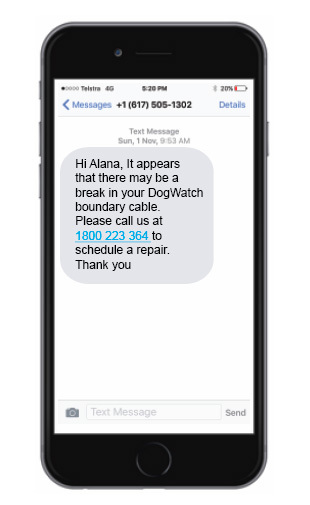 The DogWatch® Smart fence dog fence comes engineered with the Patented Safelink® Digital FM/DM signal software which minimises unintentional activation of the dogs programmable receiver collar. The SafeLink ® signal is secure enough, it can be placed on chain link or ColorBond® fences, under power lines and around dams completely minimising disruption of the transmitter/receiver relationship. The Smart Fence® works the same as our PT4 Professional system, with all the features of the PT4 except with so much more! What makes DogWatch® Smart Fence Best? 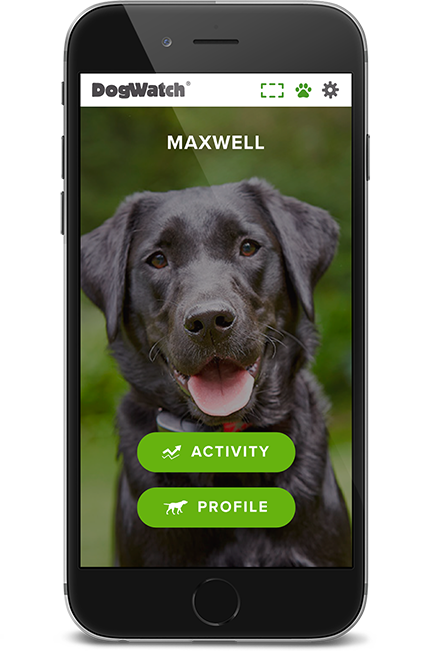 The DogWatch® Smart Fence App System is the evolveddog fence system. Your pet will have the security of being contained by the technology with the most advanced features of any product. 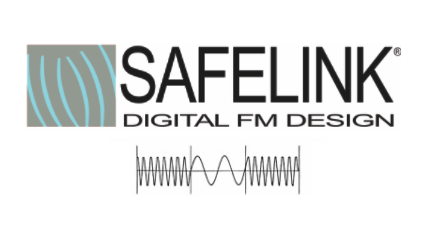 The Safelink FM/DM Digital Operating System ensures your pets Hidden Fence receiver collar doesn’t activate via alternative sources, unlike all other dog fence systems which are AM signals. The Smart Fence comes standard with our exclusive SPK10 external and internal Surge and Lightning protection helps keep your investment in working order. It also has an option for a battery back up system for power outages. As well as the above features, the Smart Fence cable is completely UV protected and a pure .5mm polyethylene coating making it the thickest and strongest on the market. The Smart Fence® is engineered and built using industrial grade components, making it the leader in the longevity of your product and protecting your pet. From gold plated battery contacts, to the fiberglass infused, polycarbonate micro-vibration welded receiver collar case, your new Smart Fence is built to last. The Smart Fence comes with an unparalled Lifetime Equipment Warranty. Ever wonder what your dog is up to during the day while you’re out or at work? 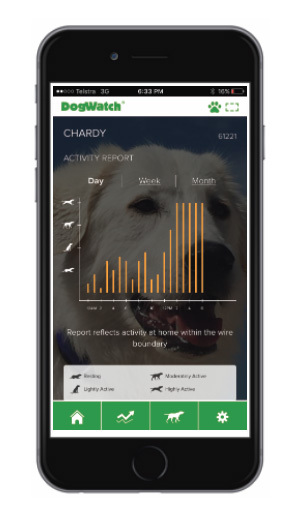 The Smart Fence has exclusive activity monitoring that allows for you to see what your dog has been up to today, this week, or the entire month! With a direct link between the portal and the accelerometer enabled within the Smart Fence receiver collar, you’ll be able to see every hour whether your dog is sitting around, running like a crazy pup, or perhaps uncharacteristically non-active…which could mean there’s a health issue. Only the Dogwatch Smart Fence can inform you. In 26 years, not much has changed with dog fences. The fundamentals of all systems, in principle, all operate in a similar way. A Radio transmission follows a cable, and a collar receiver activates within proximity. But in 2016, things have changed. Add sophisticated App software, and expert telemetry engineering, along with Dogwatch® quality, and you have… the Smart Fence. We, and your dog… stop at nothing! Wonder what your dog gets up to during the day? Did we lose power today while we were gone? Hope the earthworks people didn’t break our cable! The Smart fence® alerts you as soon as an event happens that could put your pet in jeopardy. All of these critical issues will be notified to you via text and/or email in real time! 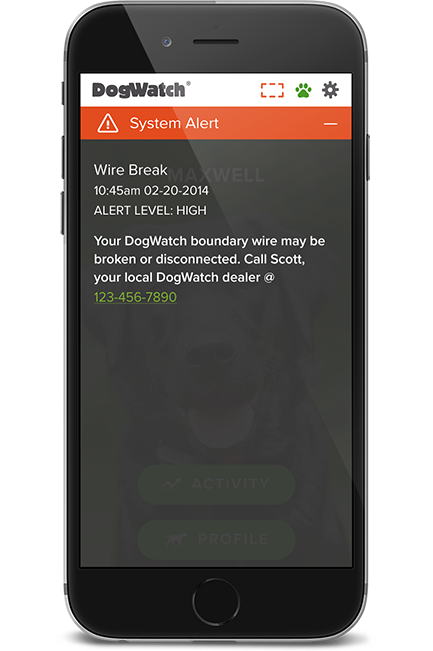 You can even have these notifications alerted to your Hidden Fence dealer for a repair or on-site inspection ASAP! Wandering and escaping are critical behaviours. Electronic dog fences were soley created for the safety and welfare of pets by keeping them safe at home. 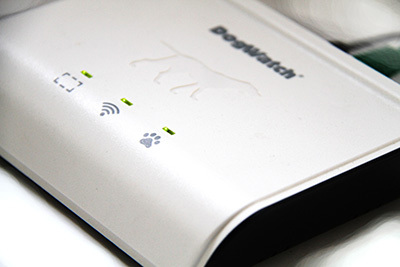 DogWatch Smart Fence protects your pets better than anything else. 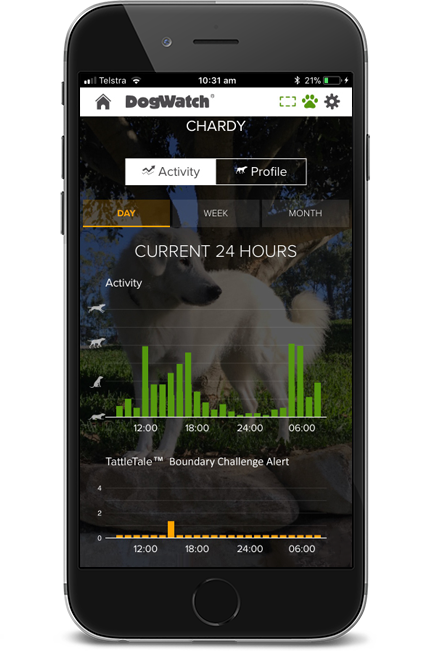 Not only does it utilise the features of the PT4 Professional Hidden fence system, but it now records and monitors your entire system and your dogs activity. 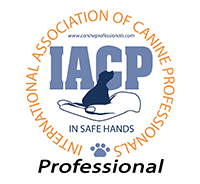 Notifications, alerts and information sharing gives you the best opportunity to make sure your dog is safe. Call us now for advice on the new Smart fence! 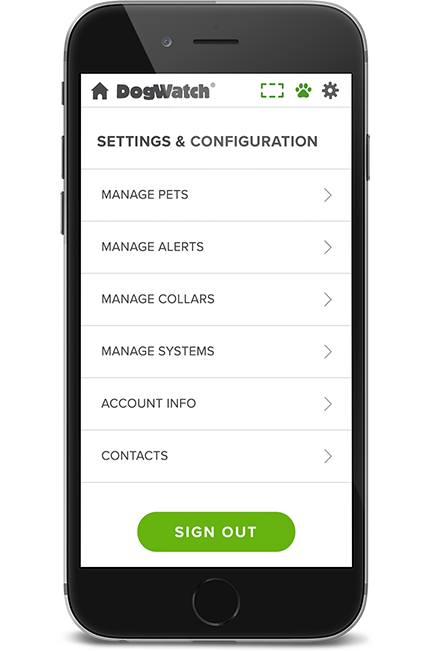 Add and track multiple pets within your SmartFence™ WebApp. 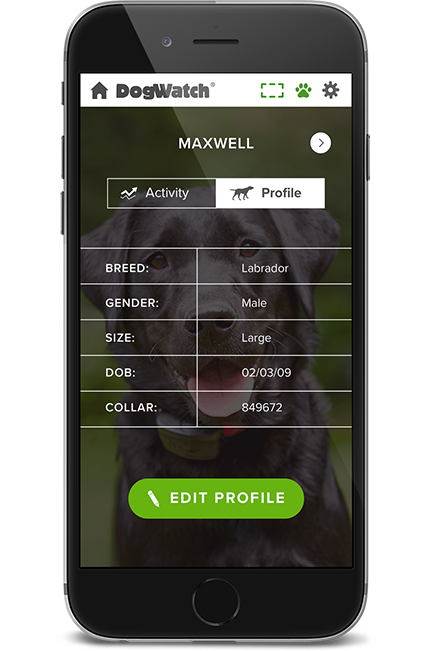 Create individualised pet profiles for each pet. DogWatch has the fastest reaction time in the industry. If your dog runs at the boundary, the receiver reacts with the warning signal before before he reaches the wire, not while he is traveling over it. Can I use a SmartFence™ if I do not have Internet? Can I use a SmartFence™ if I do not have a smartphone? Yes, you can still get text message and/or email alerts and you can access your SmartFence™ WebApp profile from any computer or other Internet enabled device. Is the SmartFence™ WebApp available on both iPhone and Android devices? Yes, the SmartFence™ WebApp works on both iPhone and Android devices. The WebApp is not an “App” that you download in the App Store or Play Store. Instead, it is a progressive web app, accessible via any internet browser (Safari, Chrome, etc.). The WebApp can be saved to the home screen of your mobile device for easy access. What will happen to my SmartFence if my Internet isn’t working? What happens when my dog’s SmartCollar travels out of range of the Communication Portal? The SmartCollar™ is designed with the understanding that your pet will probably spend time in parts of the yard that may be beyond the transmission range of your SmartFence™ Communication Portal. That’s OK! The SmartFence™ requires the use of an Ethernet port. You may be able to add ports to your router by connecting it to an Ethernet switch. These devices should be available at stores such as JB HI-FI® or OfficeWorks®.